Hey everyone! 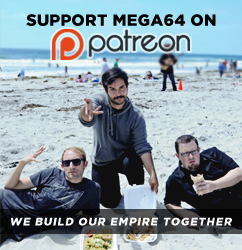 Are you ready for the next edition of the Mega64 podcast? In this episode: We start the podcast with extremely important updates. We also talk out our new Behind the Scenes video, Doom, Ghostbusters, and something about Brazilian Buttfest? Check the audio version here!